A free flowing gutter is a functioning gutter. Here in Atlanta pine needles, leaves and even bee nests can quickly clog up your gutter system causing more damage and headache in the process. Clogged gutters can cause water to overflow the gutter, leading to rotting wood and a host of other problems. Having your gutter cleaned regularly can help prevent costly repairs and maintenance to your home. The professionals at 1080 Pressure Washing have an abundance of experience in properly cleaning gutter systems for our Atlanta residential customers. If your gutters are clogged and in need of service or if it is just time for your routine gutter cleaning, we are ready to help! 1080 Pressure Washing is the company to call for your Atlanta residential roof washing and gutter cleaning services. These two often overlooked areas of your house can turn in to costly repairs if left untreated or neglected. 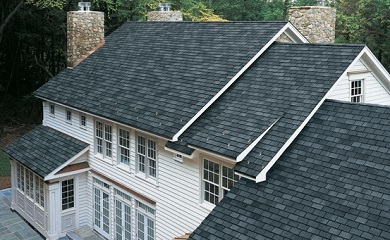 Our team specializes in the restoration and rejuvenation of roofing and gutter systems. Not only will your house look amazing when we are done, but the potential of repairs from the neglect of your gutters or roofs are essentially eliminated.